The distinctive art nouveau style of artist Charles Rennie Mackintosh has become synonymous with Glasgow. Lauded for his elegant design of the art school, and the organic allure of his decorative works, his influence now reaches well beyond his artistic successors, with gift shop imitations adorning tea towels, stationary and oven gloves. It’s this wholesale co-opting of the Mackintosh-style – or, as Matthew Darbyshire would have it, ‘Mockintosh’ – that has become the London artist’s subject for his upcoming exhibition in the Tramway’s prodigious main gallery space. Darbyshire shot to acclaim with his object installations that question design’s role in the consensual directives we see shaping our culture. Past works have seen the artist mock-up the complete flat of a fictitious thirty-something professional, with day-glo plastics, a free McDonald’s glass and lifestyle magazines, demarcating the gent’s taste and choices, and in turn representing the forces that influence our consumption. For Darbyshire, modern design holds a mirror to the social and economic state of society. Drawn to Glasgow for its chintzy commitment to the legacy of one of its most famous architects, Darbyshire was also attracted by the ‘macho’ scale of the gallery space. ‘It’s so big that it’s almost like it’s outdoors,’ he exclaims. ‘It’s a bit like going to an arena or a retail avenue, I like these types of shopping mall environments.’ His show in the Tramway, the artist’s largest to date, will comprise film, sculpture and printmaking. Often incorporating collaborations within his work, Darbyshire’s installation also houses smaller projects made with artists Rupert Ackroyd, Jacob Farrell, Owen Hatherley and Scott King. 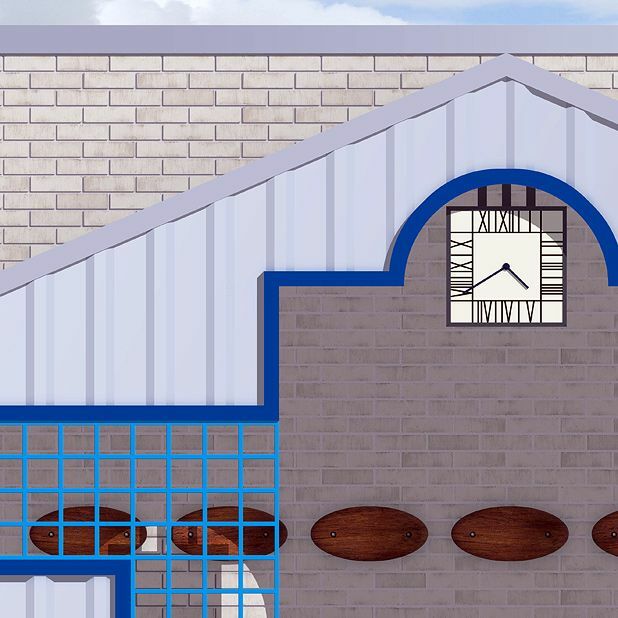 Far from mocking the work of Mackintosh, Darbyshire’s criticisms are levelled at the use of artists’ motifs in private and public spaces to sell lifestyles, whether that be through trainers, iPods or sheltered housing flats. Perhaps what this artist does best is present us with seemingly impartial installations. By bringing signs of the uniform design languages that shape urban processes of regeneration into the Tramway, Darbyshire leaves the space for critique open, while nudging his audience to look again at the design elements of our surrounds. Matthew Darbyshire: T Rooms, Tramway, Glasgow, Fri 27 Jan–Sun 11 Mar. An opportunity for 12–17-year-olds to get involved in collaborative construction and creation inspired by the current Matthew Darbyshire exhibition. An installation exploring design's role as a barometer of social change, and created in collaboration with Rupert Ackroyd, Jacob Farrell, Owen Hatherley and Scott King. Sanity in a Dystopian Sociaty.